The Traveling Tap is the Twin Cities premier luxury party bike experience! Make your next celebration extra special and unforgettable! 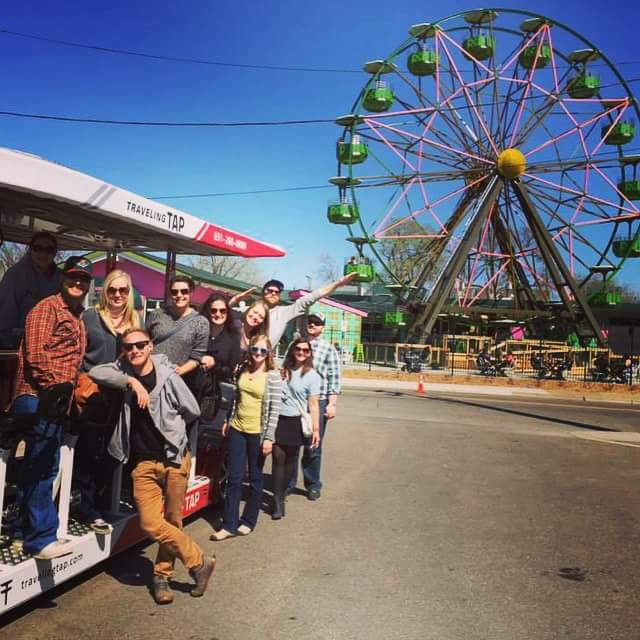 We bring a fun atmosphere to pub crawls, special events, company outings, sightseeing tours, birthdays, bachelor/bachelorette parties, and celebrations of all kinds – anything you can dream up, we’ll make it an epic celebration! Traveling Tap is a fun and unique way to experience the city while having a blast with friends, family, or coworkers. Each bike can fit between 6 - 16 people. Book 2 bikes at once for groups up to 32 people! The Twin Cities premier party bike. The ultimate pedal party experience! Experience Minneapolis or St. Paul in luxury for your next pub crawl, birthday, bachelorette party, bachelor party, or celebration of any kind.